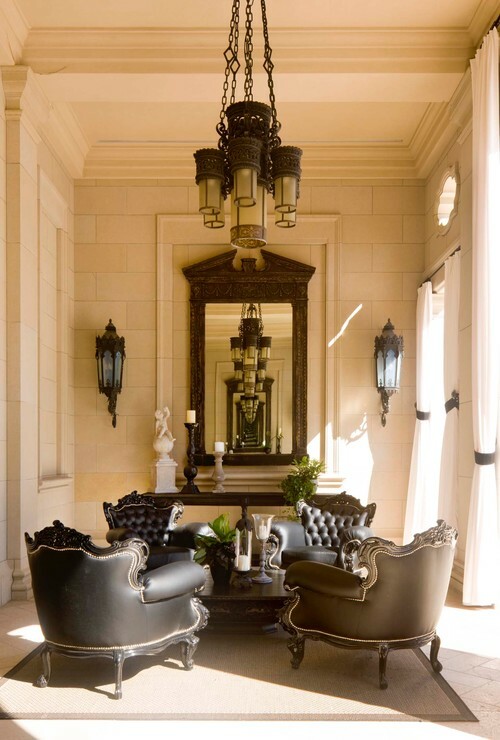 Andrea's Innovative Interiors - Andrea's Blog - What do continuous breathing and mirrors have to do with decorating? What do continuous breathing and mirrors have to do with decorating? Fun question - right? While at the gym the other morning I was listening to All Songs Considered and Bob Boilen and Robin Hilton introduced us to Colin Stetson who performs his song Spendrift entirely by himself with circular breathing. If you listen to the 6 1/2 minute recording you'll notice he doesn't STOP to take a "breath" because he has trained himself to keep breathing... without breaking... while playing an instrument. This man is able to play for INFINITY! So that got me thinking about INFINITY and the decorating tricks I’ve seen that create infinity with mirrors. 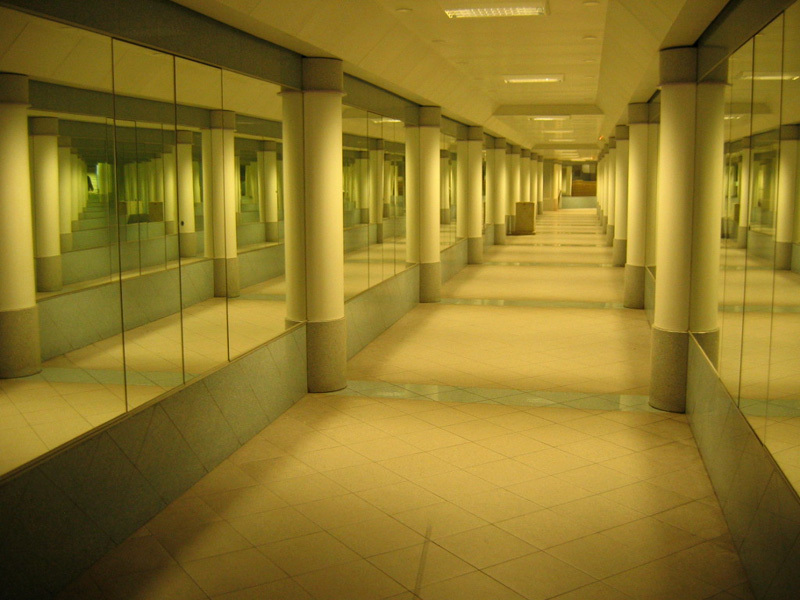 You can create infinity by setting mirrors across from each other to continuously reflect each other. I’ve seen this done before in a small alcove bar and this linen closet below. 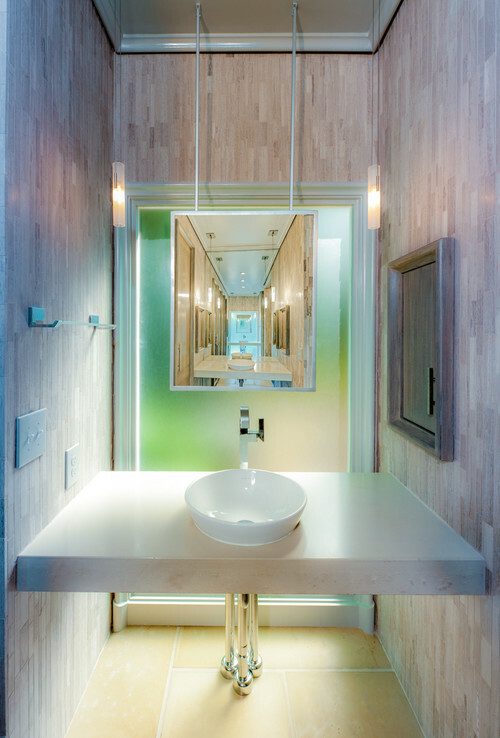 Creating infinity is not only fun, but makes a small area feel so spacious and brings in additional light. There are lots of decorating tricks you can implement with mirrors, and a few well placed mirrors can reflect decorative lighting fixtures, architectural elements, artwork, the outdoors, and anything else you want to showcase. Here are a few really cool ways that infinity mirrors have been used in decorating! AND... I'd be remiss if I didn't share one of them most incredible infinity exhibits by Yayoi Kusama currently going on at the Hirshhorn Museum in Washington DC. It's going on until May so perhaps I'll actually make it there in person!! So what do you think of the concept of infinity? 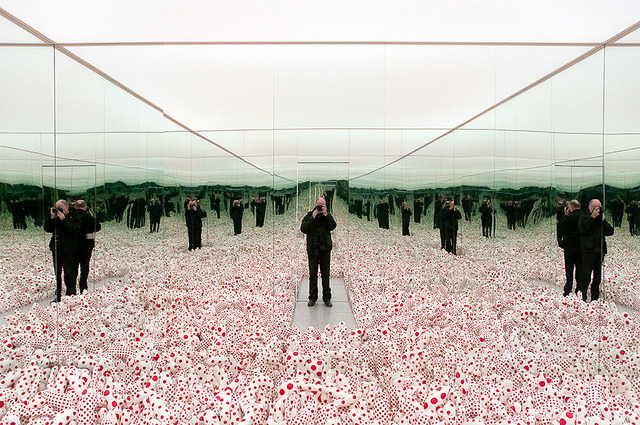 Have you experienced infinity mirrors in person? Let me know in the comments below!